Amazing Thailand, Land of Smiles | Its the journey that matters. Thailand, the land of smiles, is a country with a tropical climate sandwiched between Myanmar, Laos & Cambodia on all 3 sides. Thailand is one of the few countries where you will be happy giving one Indian Rupee to get more than 1 local currency. Add to that, with the many low costs and regular airlines connecting from every corner of India, is a perfect spot for a getaway. 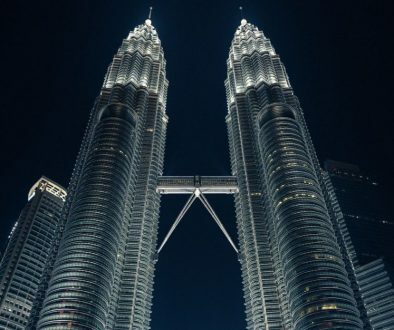 I have prepared an itinerary for you not for just visiting the iconic places in Thailand, but also involving amazing water activities, be it snorkeling or parasailing. 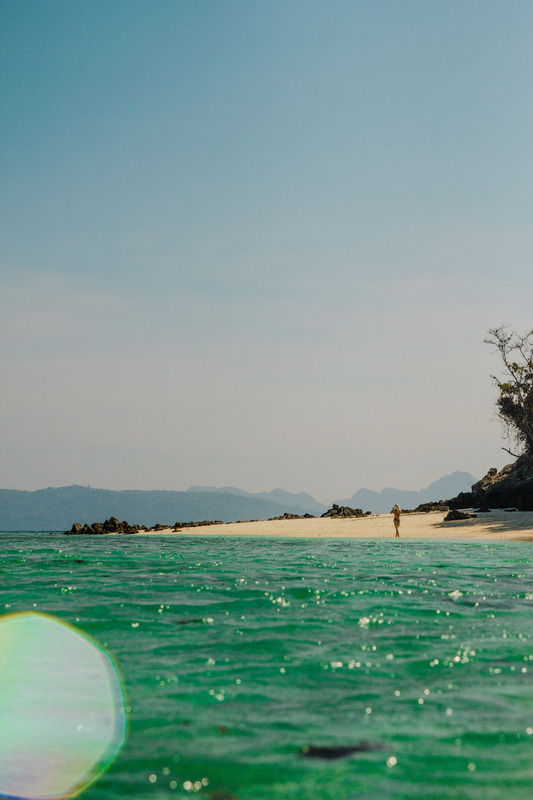 For those who love places away from crowds, Phi-Phi Island would be an ideal location with their own private beaches. Thailand is one of the friendly countries that offers an on-arrival visa for Indian passport holders. Please make sure you have a valid accommodation booked, confirmed return flights and sufficient cash in hand. Also, the visa fees at the airport are supposed to be paid in local currency. So, be prepared. There are many regular flights from India to Thailand. The main entry point to Thailand would be Suvarnabhumi Airport in Bangkok. We have several operators including Thai Airways, Thai Air Asia, Indigo, Jet Airways to name a few. Keep looking out for good deals from these airlines. Plan your flights to arrive in Bangkok early in the morning. So, you can check-in to your hotel, get yourself refreshed and be ready for the trip around 10 am easy. Make the Samphran Elephant Ground And Zoo as your first visit. More than a zoo, it’s a place where visitors can feed elephants, watch them dancing. 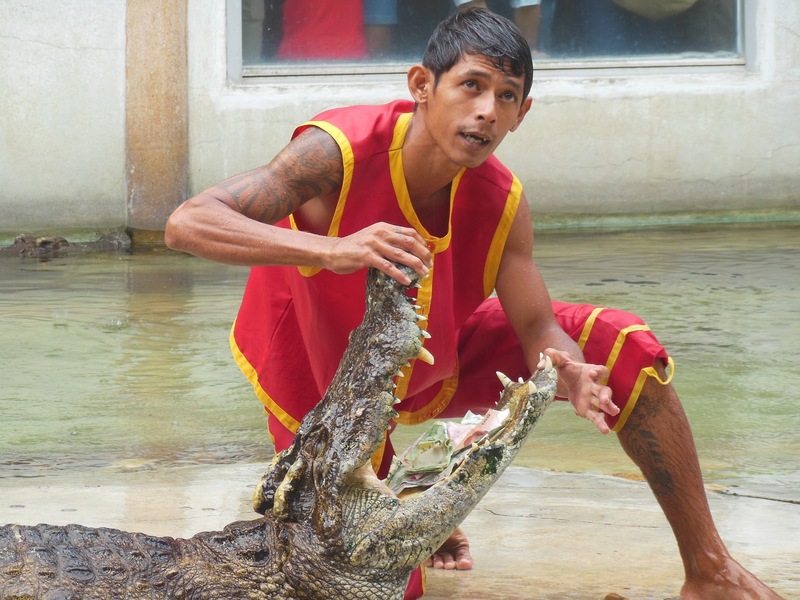 Also, there are Crocodile trainers who will perform some stunts like placing their head inside the open mouths of Crocodile etc. The place has an entrance fee of 600 BAHT for an adult and 400 BAHT child. The place offers a nice entertainment, but the only drawback is the accessibility to the zoo. Its recommended to book a tour or take a private Cab from Bangkok. If you are mainly here for the show, then make sure you are here around noon time, because the first show starts at 12:45 pm. This is followed by other shows like crocodile wresting etc. I bet you that you will take your sweet time in feeding the elephant, that you will forget about the next show on Crocodile. It’s not only about feeding, you can touch, feel and cuddle the elephant. But, please make sure you get to the seat for Crocodile show earlier to get a better seat and view. Do not miss the Elephant rides. It’s usual that no matter how many times you have touched or played with an elephant, every glimpse of this gigantic mammal is a pleasure to watch. Right? Then head back to Bangkok to immerse yourself in a nice massage and dinner. Should I recommend any massage centers? No, you are kidding me. 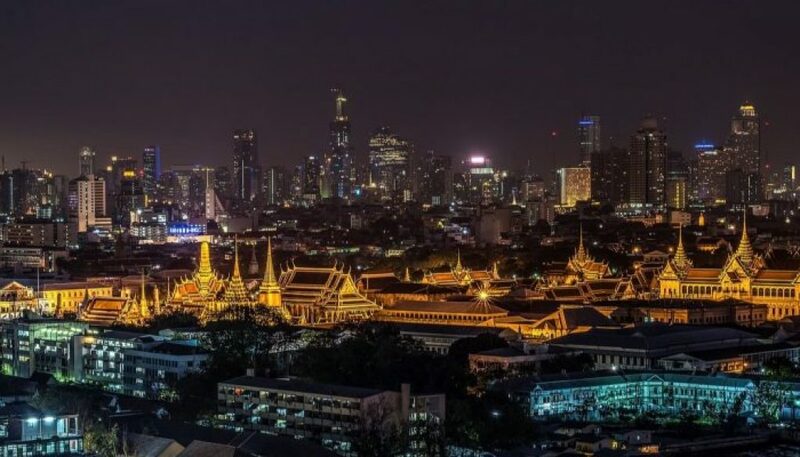 Get ready to visit the iconic place in Bangkok. Yes, the Grand Palace. Make sure you follow the dress code here since this is a sacred place in Thailand. So, no shorts, no sleeveless and other body exposing dress. The Grand Palace building is situated on the banks of the Chao Phraya River, right at the heart of Bangkok. The palace spans on an area of about 218000 square meters. This was the former residence of King Rama I to King Rama V of the Rattanakosin Kingdom. But today, it is used mainly for hosting royal ceremonies. The moment you enter here, you would see an enormous crowd. There are separate ticket and entrance for foreigners and locals. Admission to the Temple of the Emerald Buddha and the Central Court of the Grand Palace is 500 BAHT. Along with the ticket you will be provided with a map. But due to the crowd, you may not need it, you will simply be guided by the crowd in there. The palace consists of four main courts. The outer court, Center, the Inner Court and the Temple of the Emerald Buddha. The statues and the building here are really huge and painted mostly in golden color. You can see the work of mosaic in almost every wall and pillars. 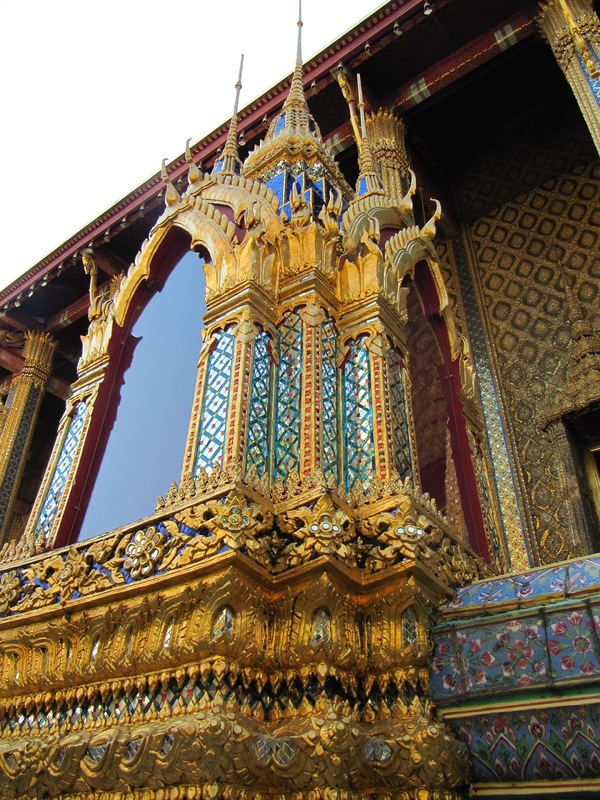 The Wat Phra Kaew or Temple of the Emerald Buddha in the Grand Palace is one of Thailand’s most sacred places. 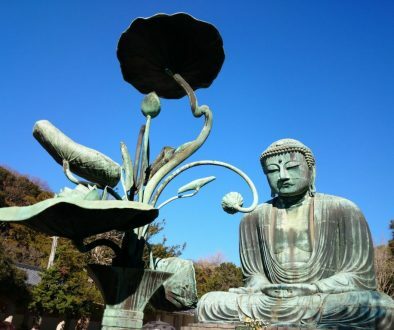 The small Buddha image is believed to be more than 2000 years old and was created in India. Even today, it’s forbidden to take any pictures inside this temple. Once you enter the temple, you will feel a great sense of peace and many people praying with closed eyes. 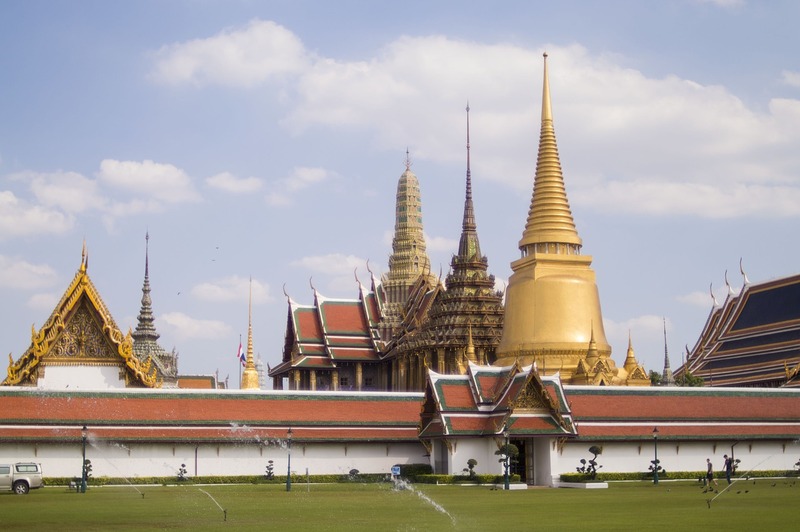 The visit to the Grand Palace is not complete if you do not cover the nearby amazing attractions. One of them is the Temple of Reclining Buddha or the Wat Pho temple. This temple is famous for its huge gold Buddha image. Most statue of Buddha we have seen will be of sitting and blessing pose. But, the statue is a bit different in that it is Reclining to the side. The statue is 46 meters long and 15 meters high. We all have read about the Bodhi tree under which the Great king was enlightened and the Buddha was born. The same Bodhi tree [Decendent from Bodhgaya] can be seen here in a small garden next to the Reclining Buddha. After this, on the way to exit you have beautiful wall paintings that glow on pictures. Beside this palace, there are other buildings like Museums and govt offices. And make sure you visit the Siam Paragon, the huge shopping mall. with plenty of fast foods or restaurants. It also houses a couple of multiplex in it. Start your third day from Phuket. You can either get an overnight bus from Bangkok or a flight to reach Phuket. Once in Phuket head on to the Rassada Pier. It’s from here where all the ferry services operate to the Phi Phi Island. A taxi should cost around 50-100 BAHT from Bus station to the Pier. If you are staying at the hotel or resort in Phi Phi Island then your travel to Island in the Ferry will also be taken care. No additional cost else, you need to get a separate ticket. Depending on the month of travel, this ride can be very hot. So, make sure you sit inside the Ferry in AC in case you do not want to get roasted in the hot sun. It takes about 2hrs 30min to reach the Phi Phi Island. The island has a nice beach. Most resorts offer you private access to the beaches, and hence you can spend quality time in here without worrying about the crowds. The coconut trees along the beach at Maya beach, white sand, greenish water all make it a pleasant view. If you are not aware, this Maya beach is the place where the Hollywood movie “The Beach” was shot. The Bamboo Island is about 30 minutes ride on the boat from Phi Phi Island. Do not miss it. On the way to the Island, you can request the boat person to stop for a while, and have amazing fun in snorkeling. You do have an entrance fee of 200BAHT per person to be paid for this beach. This place was a heaven of fish and corals. Even without going much deeper into the beach, you will find colorful fishes surrounding your legs in those shallow water. Tonsai Bay is the Island which was affected to great extent in Tsunami. This is the main place and there are plenty of options for the hotel, food, and shops. If you love water activities like Scuba diving, Snorkelling, Para-Sailing etc, this is the place. You can rent the long tail boat from Phi-Phi Island to Tonsai Bay. It costs around 1500Baht for 4 hours. It should take around 30 min to reach the Tonsai Bay. Since this place has many water activities like para-sailing, water scooter, rowboats etc it’s always crowded. You can spend the whole day on the Island playing in the water and doing water sports. The only way back to the mainland is to get the Ferry service from the Island and reach Phuket. You have the option to fly back to Bangkok and take your flight back home, or a direct flight out from Phuket. I am sure you can never go wrong in Phi Phi Island. Looking for a honeymoon trip? Why wait. 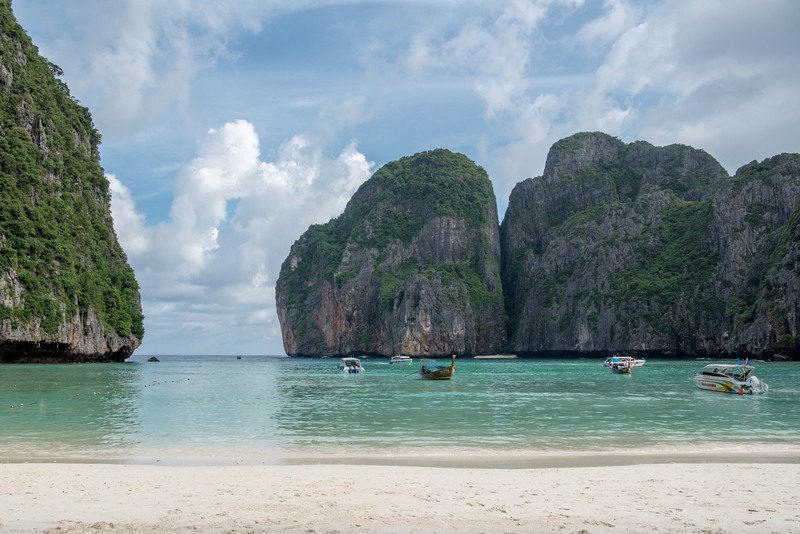 Just book a resort on Phi Phi Island, and have unlimited fun on those private beaches. Need any tips? Of course for the travel!!! Do drop a line to me. Enjoy. Lovely pictures and a great travelogue. Keep writing! Thailand offers so much for everyone. It is a complete family destination.